We are always so grateful to hear from our partners of the successes they see in the field during their day-to-day. In February, we received a wonderful story from Deng Jongkuch, Executive Director of Partners in Compassionate Care, about the survival of a newborn thanks to the work of the talented staff at Memorial Christian Hospital. A young woman had given birth about 20 miles away from the nearest clinic and was immediately in distress. Below is the story shared with us by Deng. “The baby was born with neonatal sepsis, characterized by a high fever and convulsions. 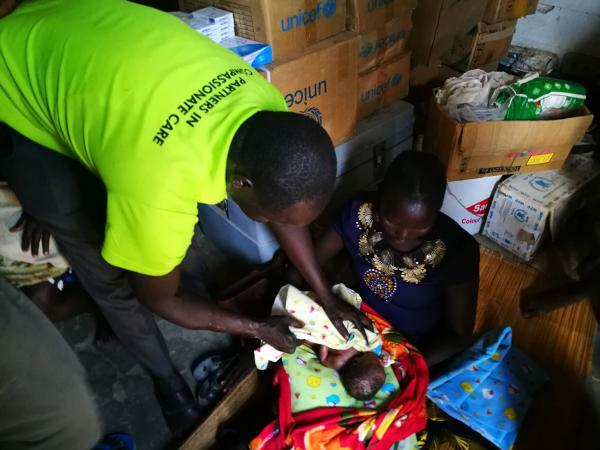 The community midwife…called Dr. Ajak Garang from the MCH Bor Clinic. Dr. Ajak and his team hurried to Baidit. It took them over 50 minutes to arrive, because of the uneven dirt roads. The baby was in complete distress when Dr. Ajak and an MCH midwife (Kuot) arrived. The baby’s temperature was 105.8 F and she was convulsing. 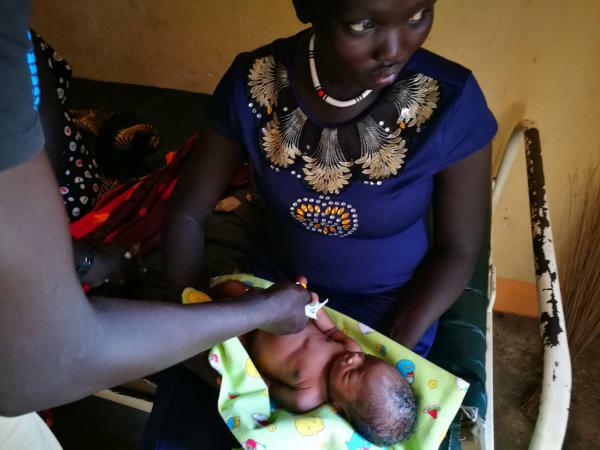 Dr. Ajak administered Benzylpenicillin and gentamicin, but the baby did not respond. They rushed both the mother and baby to the MCH Bor Clinic, but the roads were worse on the return and the trip took over an hour. At MCH, Dr. Ajak changed medications to Ceftriaxone. After 30 minutes, the child showed sign of improvement. Her temperature dropped to 99.14 F and then she opened her eyes. Congratulations to Dr. Ajak and their team on preserving this precious life! Health eVillages is so happy to have such great partners and look forward to hearing more of their successes.